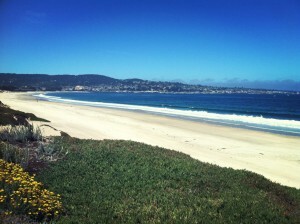 When you’re ready to venture away from the luxurious amenities and breathtaking ambiance of our California inn and see what else Monterey has to offer, try the beach. 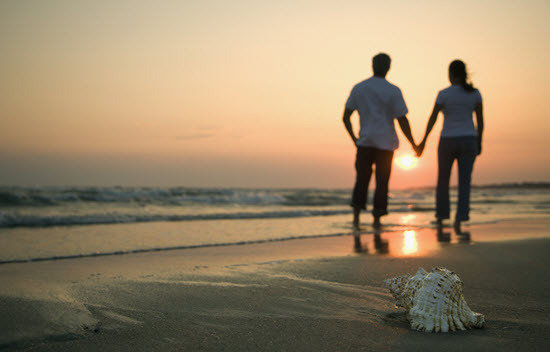 Nothing beats an afternoon in the fresh air and California sun with your special someone. 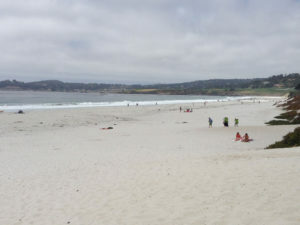 Carmel Beach is located at the foot of Ocean Avenue and is a tourist favorite. This dog-friendly beach boasts beautiful white sands and is the perfect location for a destination wedding or honeymoon. 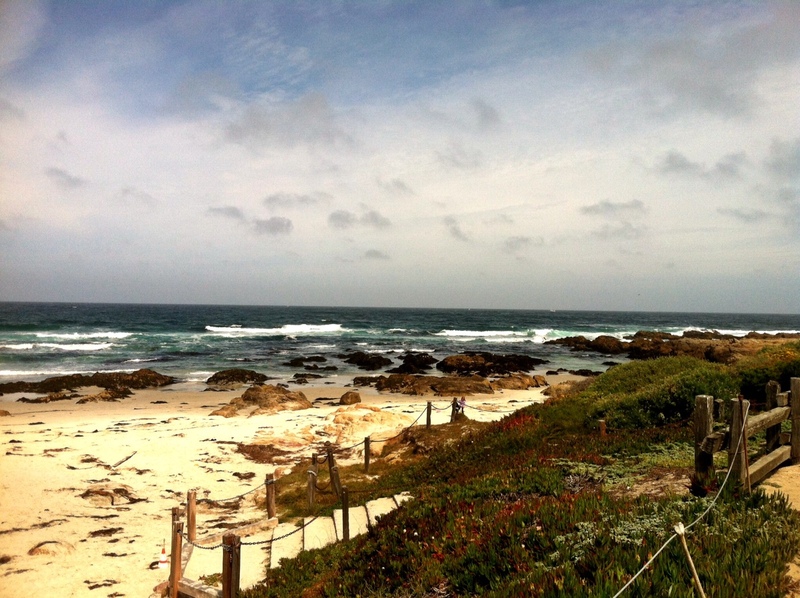 This beach also offers a scenic gravel pathway along Carmel Beach, under Monterey cypress. 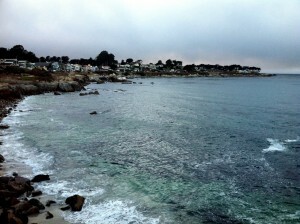 Any of these incredible beaches would be the perfect addition to your trip while staying at Old Monterey Inn. 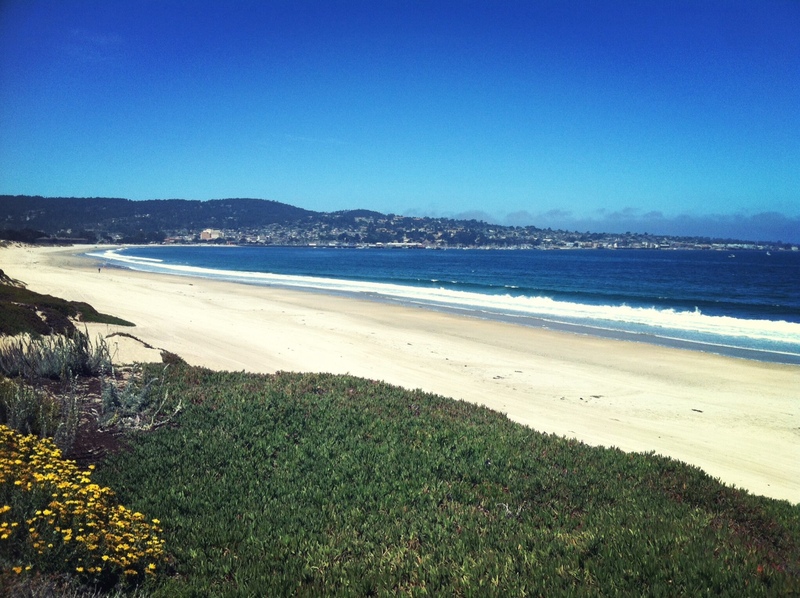 Whether you spend a day, an evening, or just a few hours at the beach, your luxurious room at Old Monterey Inn will be waiting for you, just a short drive from any of these beaches. 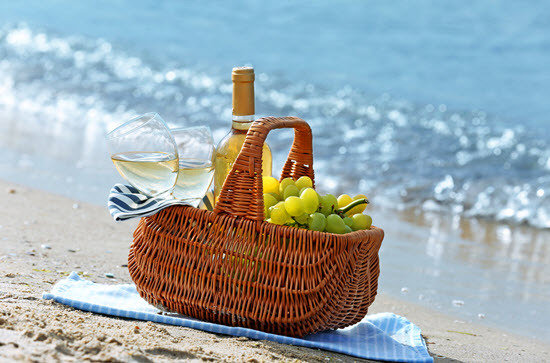 It’s that time of the year again and summer is upon us, so why not take the opportunity to enjoy Monterey’s wonderful beaches and relax without having to worry about finding that perfect sandy spot. 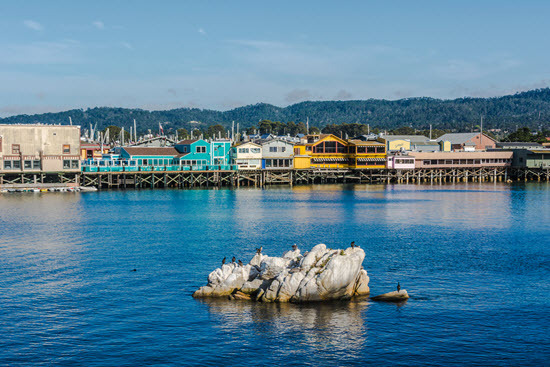 Monterey has plenty of beach areas up and down the entire coastline littered with historical sites as well as bountiful and lush foliage. Have a dog that enjoys playing in the water? 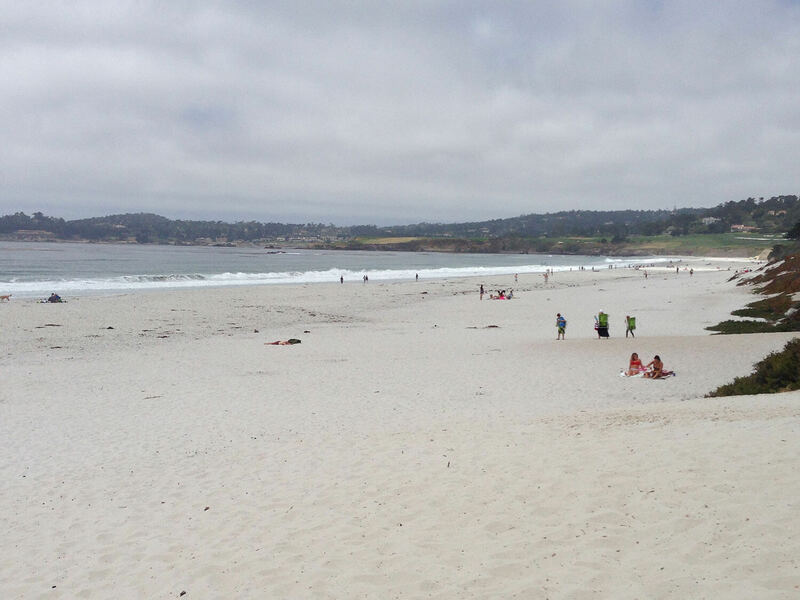 Then Carmel Beach may just be the place for you! 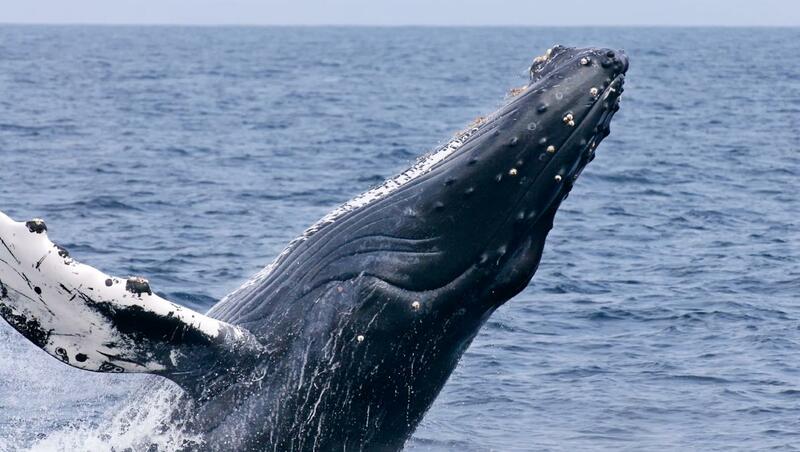 Meet some of the Carmel locals and their lovely pets. 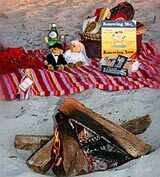 If bonfires and social settings are more of your thing, Casa Verde beach between Monterey and Seaside is perfect for those BBQ outings. If exploring and hiking tickles your fancy, then Point Lobos State Park off of Highway 1 heading South is spectacular as you can explore the old Whaling Cove, peer down on baby harbor seals, or hike along the trails and discover all the little sea critters curled within the cracks of remote tide pools. 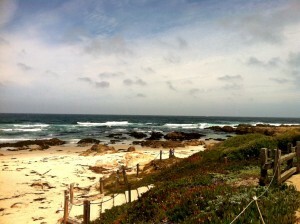 If a nice stroll or run feels more comfortable, then Asilomar beach near 17 mile drive is a beauty. A mile of soft white sand and parking galore, this is a wonderful spot to walk the beach hand in hand with your significant other as the sun sets on the horizon. However if you’d rather enjoy a sunrise over the bay, Lover’s Point near Pacific Grove not only offers a scenic route of flowers and lush landscape, but it’s also the only point on the peninsula where visitors can watch the sunrise or sunset over the bay. 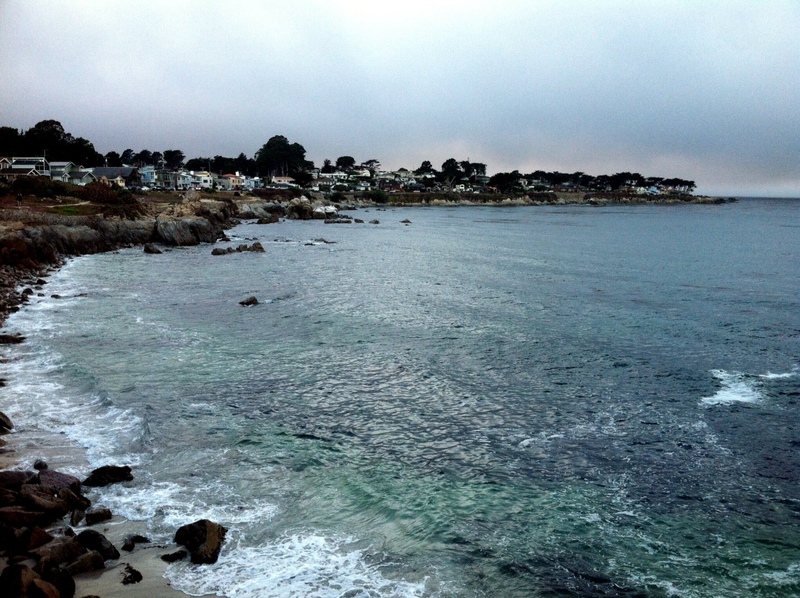 No matter which beach you choose, Monterey never ceases to amaze those that visit it and neither will a stay at Old Monterey Inn. Only a couple miles from the beach and chalk full of surprises. Let us dazzle you with a goodnights rest complimented by a gourmet breakfast and a departing gift as you begin your beach day adventure! 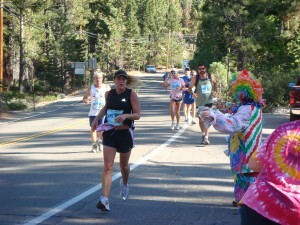 The 27th Presentation of the Big Sur Marathon! The running of the Big Sur Marathon is this Sunday, April 29th just a hop, skip, and a jump from our Monterey CA Bed and Breakfast! The Big Sur Marathon is considered by marathoners as one of the “Bucket List” races to complete during your running career, and has been named as the “Best Destination Marathon in North America”. Considered one of the top three marathons in the country (along with Boston and New York), Big Sur will host 4,500 runners in the 26.2 mile marathon (sold out year after year), and approximately 11,000 runners all told in the other weekend events which include a marathon relay, 21 miler, 10.6 miler, 9 miler, and a 5K. That’s a lot of people running up the coast by our Monterey Bay bed and breakfast next to some of the most breathtaking scenery in the world! 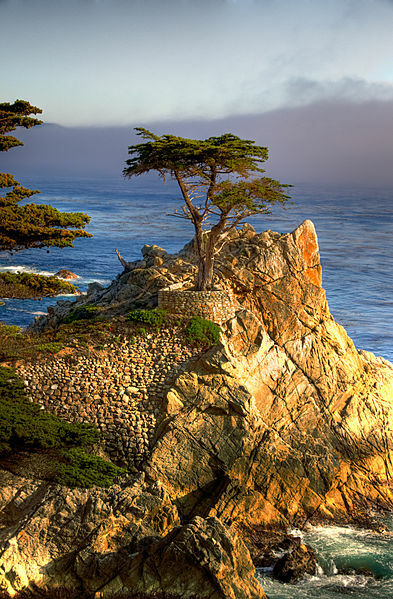 I am happy to say I will be one of the 4500 runners competing in the full marathon which begins by Pfeiffer State Park and ends the 26.2 mile jaunt in Carmel (pretty nice place to finish!). This will be my first Big Sur Marathon, and my eighth marathon overall. I am just as nervous every time, but I think I am ready! We would love to have you comecheer us on!